What with it only being the middle of March, and with no new iPhone anticipated until the fall, it shouldn’t be too surprising that rumors and reports regarding the Cupertino company’s next big thing are both plentiful and conflicting. But one common theme is that the so-called iPhone 6 – which could offer two different sizing configurations – will be larger than the current iPhone 5s, and with the likes of Reuters and Bloomberg having corroborated this notion, it’s no wonder the blogosphere has gotten itself into something of a tizzy. Today, Mac Otakara has jumped into the debate, suggesting that the two new devices will integrate design elements of both the iPhone 5c and sixth-gen iPod nano. 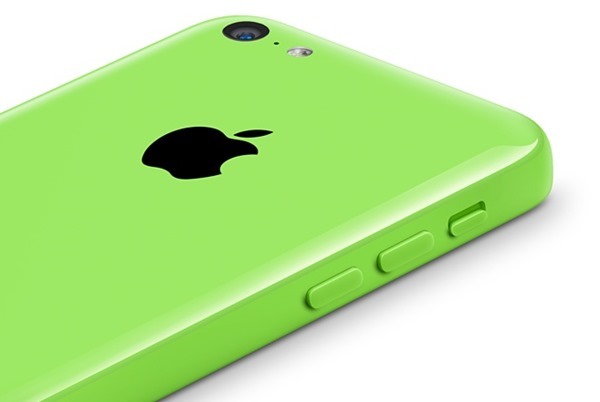 We’ve heard a bunch of people’s opinions with regards to what the new, larger devices will look like, but this is the first time any comparison with the iPhone 5c has been made. In fact, the only time that Apple’s polycarbonate-clad handset has been dropped into reports is to underline its supposedly imminent demise, with the iPhone 5s apparently set to remain the only survivor of the current roster once the two new iPhones manifest. But Mac Otakara, which has cast some fairly accurate aspersions in the past, reckons that the new device – set to pack 4.7 and 5.7-inch display options – will boast a rounded finish on the back, taking cues from the iPhone 5c with its button layout, speaker hole designs, and other minor effects. Interestingly, the report also concludes that the device will arrive in a plethora of color options, although thankfully for fans of higher-end design, it will be comprised mainly of anodized aluminum as opposed to the shiny plastic exterior of the iPhone 5c. Both sizes will be of around 7.5 millimeters thick, and while last year’s iPhone launch – which brought two new devices and unseen features like Touch ID and a gold color option – was seen as the most significant bump to the line-up since the original iPhone arrived in 2007, there’s arguably even more to get excited about later on this year. Away from Mac Otakara’s report, the iPhone 6 is reported to offer a 10-megapixel rear-facing camera, Apple A8 processor, and will almost certainly run on iOS 8 when it’s announced later on in the year.